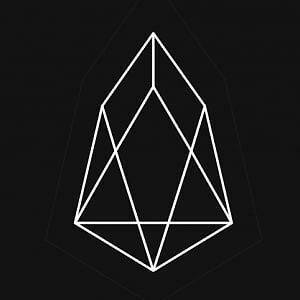 Strong upside potential for the EOS, with a clear target of $5.40. EOS is still recovering from the chaotic launch of its own Mainnet. The EOS/USD pair has been moving since mid-December within a wide price range between $1.965 and $3.149. EOS/USD is currently trading a little below the price congestion resistance level of $2,846. Thanks to the strong end-of-week rises, the main moving averages have outperformed and led to a bullish cross. Above the current price, the main obstacle is at $2.90 (price congestion resistance). The second resistance level is at $3.15 (price congestion resistance). Above this level, a clear space not visited since November until a price congestion resistance levels at $3.40, $3.90 and $4.50. Below the current price, the first support level is between $2.639 (EMA50) and $2.60 (price congestion support). Below this price level, the confluence of the SMA100 and the SMA200 at $2.47 and the price congestion support at $2.34. The MACD on the 4-hour chart is crossed down but with a slight bearish slope with even less opening between lines. The statistical pattern says that another upward movement is likely to occur. The DMI on the 4-hour chart shows that the bulls have dropped in intensity until today when it seems that purchases are increasing again. The bears, on the other hand, continue to decrease their level of activity and advance to levels not seen since mid-December. N.H. startup allows videos sharing via blockchain – technically cool, but is it good for society?